Every year we give a small donation to the rescue program where we got our cat. Well this year, in addition to rescue and adoption program donations, pet lovers can shop MuttNation to help save a mutt. The MuttNation collection from Petmate®, the worldwide provider of fun, trusted, quality products to enhance the lives of pets and their families, offers pet lovers a wonderful opportunity to give back to the rescue community while giving love to their own special four-legged family members. 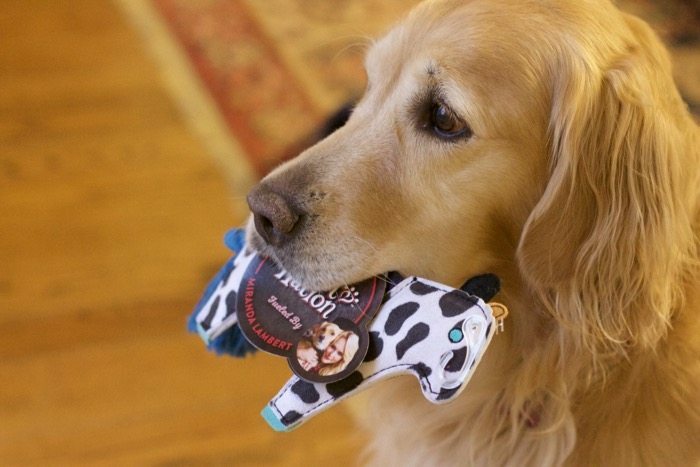 All of Miranda’s proceeds from the MuttNation pet collection go directly to MuttNation Foundation. · 40% of pet parents are considering donning their pet with gay apparel with a festive collar and 38% are celebrating with a Santa Claus costume or an ugly Christmas sweater. 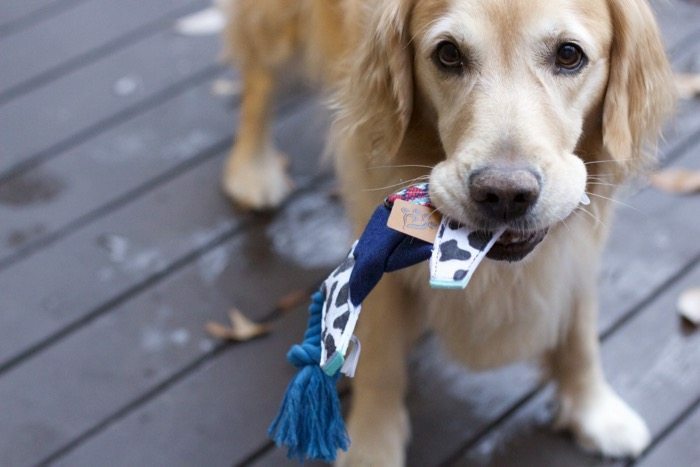 · 65% of pet parents have monogrammed stockings for their pets! · 68% say their pets are a major part of the holiday celebration, while 27% will celebrate, but keep it low key with a treat or toy. · But what about a pet photoshoot? The majority (52%) might take a few pics with their pets while a good chunk (38%) will dress their pet up and take plenty of pictures by the tree. 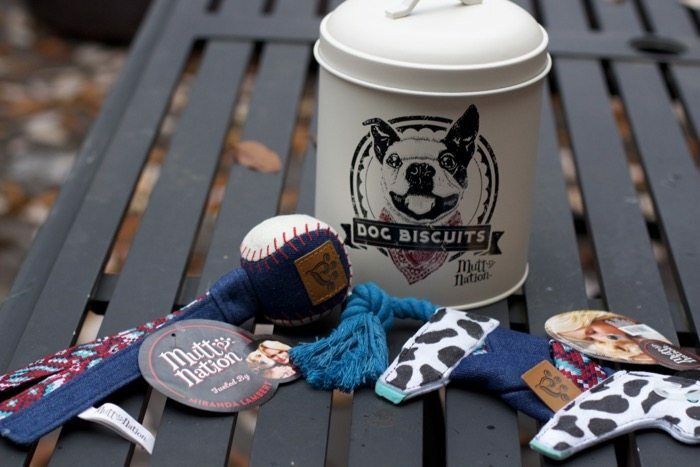 Be sure to check out all the new products for 2017 now available on Petmate.com andAmazon.com include a vintage styled treat tin, treat toys in the shapes of guitars, cowgirl boots and microphones, an all-American baseball tug toy, stylish bedding, and the cutest collection of Mini Rescue Mutts plush toys based on real rescue stories. Chloe was able to test out a few of the new items. MuttNation was founded in 2009 to improve the lives of shelter pets. Miranda and her mom Bev Lambert were not looking to start another business. They were hoping to build a network of like-minded dog lovers who were passionate about making a difference in an animal’s life and placing homeless dogs in a forever home- people who understood that a dog can change a person’s life and make it so much better. Buy a new toy and a new treat holder for your counter. When your friends stop over they will admire your treat box and ask you about MuttNation. 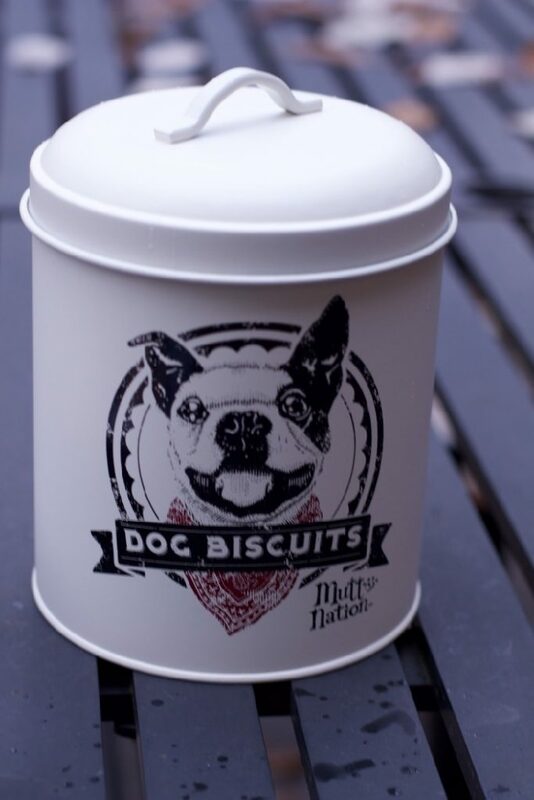 Now you can win one of these tin treat containers for your pup. Enter the Rafflecopter below.